Welcome to GamblingAfrica.com, your one-stop African land and online gambling guide. Here you’ll find the latest reviews and listings of the most popular and lucrative casinos relevant to African countries with licensed and regulated gaming industries. We investigate in depth the best and most attractive gambling facilities for each of these African nations and present them to you in a user-friendly, topical and informative manner. Countries we focus on include Nigeria, South Africa, Kenya, Ghana and more. To ensure that GamblingAfrica.com remains the authoritative African gambling guide it is, our researchers and reviewers are constantly researching African databases, resources and the internet to bring you the newest, most popular, reputable, worthwhile and best African online casinos, with the broadest and most engaging and varied odds-friendly games. The results of their endless efforts you’ll find on this website, which are regularly updated to give you the latest, most accurate information on each. This is especially crucial with regards to new game releases, bonuses and promotional offers, so you’ll never have to miss out on a generous no deposit, welcome or reload bonus or reward-laden promo ever again. Similarly, if a land or online casino closes or falls out of favour, we’ll endeavour to remove it from the site as quickly and efficiently as possible. Our philosophy at GamblingAfrica.com is to solely showcase the finest examples of African and/or African-friendly casino, betting and lottery facilities and offerings. As such, anything less has no place being on this site. Whether you love the buzz and atmosphere of ‘old school’ land casinos or prefer the privacy and ease of desktop (online) casinos or crave the 24/7 convenience and portability of ‘new school’ mobile casinos, rest assured we’ve got you covered. And in case you were curious, we only review, feature and endorse casinos that are 100% licensed and regulated. 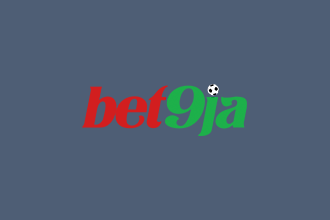 Sports betting has always been a popular activity in many parts of Africa, and is becoming even more popular by the day as betting fans have greater access than ever before to local and international online and mobile sportsbooks. This is due to cheaper and more widely available internet access as well as more affordable smart phones and tablets. While not too long ago most of Africa’s betting fans were solely reliant on land betting shops and kiosks to place or cash in their bets, today their mobile device is their personal betting shop open for business 24/7. As long as you can connect to the web and fund your sportsbook accounts, you can place your bets night or day, come rain or shine. And although most African sportsbooks heavily feature betting markets on for soccer being the continent’s favourite sport, fans can also bet on most international sports and leagues. 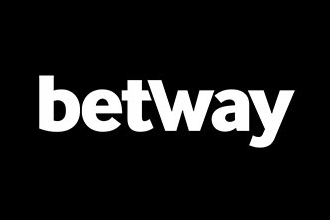 From English soccer, cricket, horse racing and rugby to tennis, golf, basketball, motor racing and everything in between, African betting sites have betting lines on them all. Considering how much you could win with a single winning lottery ticket, it’s unsurprising lotto draws are so popular across the world, including Africa. Here you’ll find the latest live lottery results from the biggest African and global lotto draws plus an open invitation to join an online platform where you can buy tickets for those draws – all 50 of them. Gone are the days when you had to trek to your closest lottery outlet or ask someone else to buy tickets for you. Thanks to the internet and smart mobile devices you can now use your PC, phone or tablet to purchase tickets for not one but multiple lottery draws all over the globe in literally less than a minute. All you need is a computer or a smart phone or device, a reliable internet connection (via 4G, 3G, 2G or Wi-Fi) and the money and method to fund your online lottery account and you’re good to go. You can buy lotto tickets from the US, the UK, South Africa, Australia, and a host of other countries in Europe and South America. On this site you’ll also be presented with the best African lotteries based on your location, and their results. Check out our lottery section for all things lotto-related. Just as we seek out and review only the best African online casino sites, so too do we seek out the only the very best African land casinos through research, reputation and positive word of mouth. It is our mission to ensure that no matter where in Africa you live that you can find the best, safest and most lucrative bricks and mortar casinos on the continent. Visit our African land casinos page to find out more. For some gambling fans in Africa, the switch from traditional land-based gambling facilities to remote or internet-based ones can seem a little daunting at first. This is why we’ve put together the following list of common African online gambling FAQs to help you with the transition. Can I gamble or bet on the internet on my mobile phone or tablet? Yes, absolutely. As long as your mobile phone or tablet is a smart device i.e. can connect to the internet, you can use it to access and gamble at both online casinos and sportsbooks. We only review and feature local and offshore gaming sites that accept players from Africa that are 100% desktop and mobile-friendly. In addition, all online casinos and sportsbooks we review cater for local cellular carriers and devices typical of those regions. Are online gambling sites for Africa safe and trustworthy? Yes, they are. We only highlight safe, trustworthy and reputable online gambling sites that welcome African players, whether they are casinos, bookmakers or a combination of both. Our review crew has gone through every gaming site with a fine tooth comb and deemed each one to be 100% safe to register with and play or wager on. Plus, we only showcase online gambling sites that are licensed and regulated in recognised jurisdictions. This depends on the country you live in and the payment methods your selected gambling site accepts. For instance, players in South Africa can typically fund their accounts using a bank transfer, an EFT, a credit or debit card (Visa or MasterCard) or an e-wallet like Skrill or Neteller. The banking options for players in Ghana, however, would likely include Airtel Money, Ecobank, bank transfers, SpeedBanking, MTN Mobile Money and MONIcliq. Check our casino and sportsbook reviews for local payment option information. Are online casino games the same as land casino games? Yes. 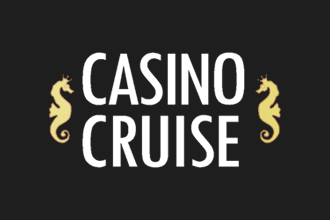 Most online casinos have the identical game categories as land casinos, but instead of standing in front of an actual slot or video poker machine or roulette or blackjack table at a bricks and mortar casino, when you play over the internet your PC, laptop, phone or tablet becomes the casino and you can choose and change games with a click of your mouse or swipe of your finger. Plus, the pay-out percentages (average return to player) of online casinos are typically identical to those of their land casino counterparts. Do people win at online sportsbooks and online casinos? Yes they do. Online gambling is a multi-billion dollar industry with games, odds and pay-outs just as legitimate as those of the land gambling industry, and a big chunk of online revenues come from African-owned or African-friendly sports betting and casino sites. These are run with the same high standards and levels of honesty and integrity as physical venues, and their pay-outs – particularly progressives – are as if not more generous. Is online gambling legal throughout Africa? No. While online gambling has not yet been embraced by all African countries, it is enjoyed in such nations as Ghana, Kenya, Nigeria, Tanzania Zambia and South Africa. However, that’s not to say you can’t wager or play games online if you don’t live in one of these countries. All you have to do is research the gambling laws applicable to your country, and if there are none that strictly prevent the activity, you can join Africa-friendly sites. Where can I get the best casino bonuses for my country? Bonuses are as much a part of African online casinos as their games, and in fact are one the most effective ways to drawn in new players and keep already registered players coming back for more. Online casino bonus offers come in a wide variety of types, shapes and sizes and are used by players to try out one or more of an online casino’s real money games. It can be challenging to identify the best bonus offers - especially if you’re new to African online gambling - which is where we come in. We only source and feature reputable online casinos with the most generous bonuses. In other words, high value bonuses with not-too-stringent (low) wagering requirements (‘dos and don’ts’ highlighted in the bonus T&Cs). When it comes to online casino bonuses, ‘variety is the spice of life.’ So on this site you’ll find a broad range of bonuses and it will be helpful to you to differentiate between them. For instance, you’ll more than likely encounter no deposit bonuses (for cash or free spins), welcome (or sign up or matching bonuses), and even reload bonuses for existing players. No deposit bonus are most sought after by just starting out African gaming fans because they’re 100% free, no catch, no obligation bonuses . To claim them just register for a new real money account – no deposit required. Welcome bonuses need an initial deposit to unlock, while reload bonuses are like welcome bonuses but for already signed-up players. How do I find the best online casinos or sportsbooks for my country? Look no further than this site. We have compiled a list of top online casinos and bookmakers by country so in a single glance you can see all the sites where you are welcome to register, deposit and play games or place wagers quickly and easily based on where you live. What’s more, we constantly update these lists so as and when new sites come online that accept players from your country, you can read all about them right here first.